This thought provoking piece has been perfectly executed by Andy Cowap. 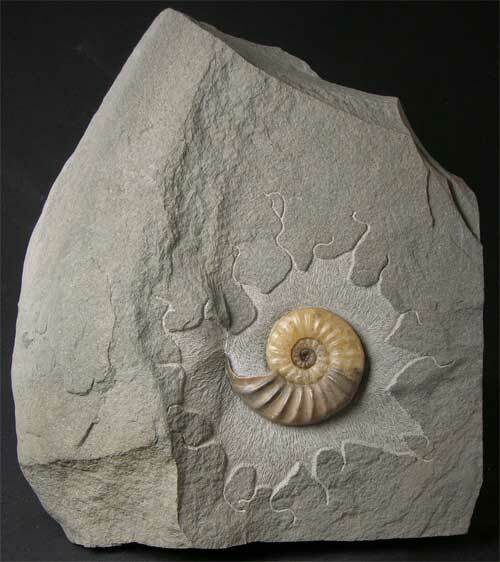 Many hours of preparation work has gone into this fossil to create a very unique piece. 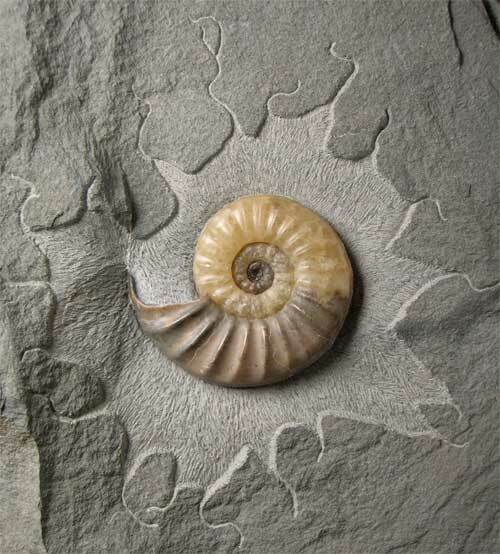 Fossils prepared in this way rarely come up for sale on the open market. 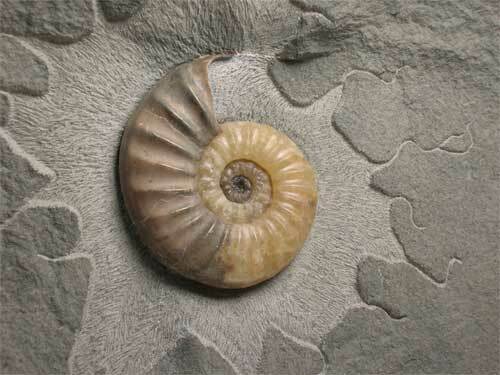 The ammonite has been preserved in solid calcite and is a beautiful light yellow and brown colour. 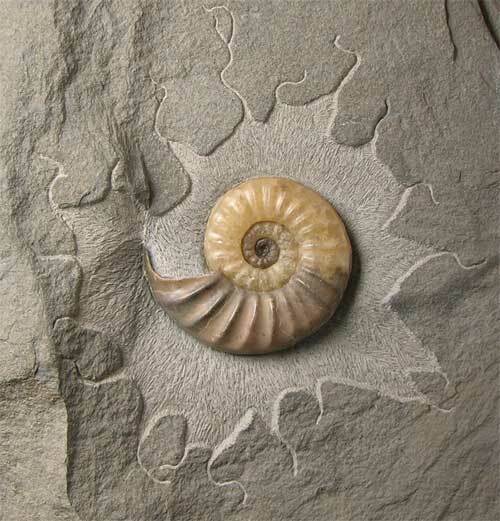 The ammonite lies in a very generous piece of matrix which allows for the delicate engraving around the fossil. The matrix has a cut base for ease of display and is approximately 200 million years old. Rare display piece.